Some teenagers appear to show changes in their brains after one season of playing American football, a small study noted on BBC News Health today suggests. of mild traumatic brain injury. Twenty-four players aged between 16 and 18 were studied and devices on their helmets measured head impacts. The study was presented to the Radiological Society of North America. In recent years, a number of reports have expressed concern about the potential effects on young, developing brains of playing contact sports. These studies have tended to focus on brain changes as a result of concussion. But this study focused on the effects of head impacts on the brain, even when players did not suffer concussion at any point during the season. Using detailed scans of the players’ brains before the season began and then again after it ended, the researchers were able to identify slight changes to the white matter of the brain. White matter contains millions of nerve fibres which act as communication cables between the brain’s regions. Those players who were hit harder and hit more often were more likely to show these changes in post-season brain scans. 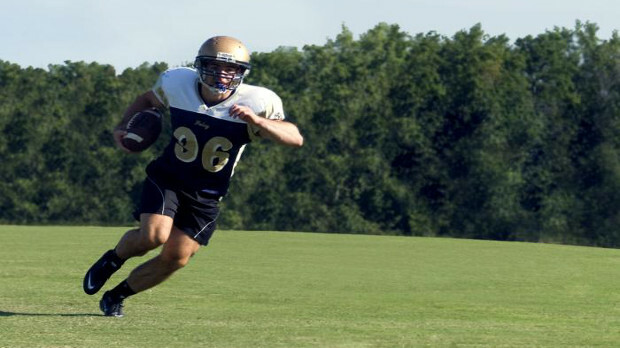 Dr Alex Powers, co-author and paediatric neurosurgeon at Wake Forest Baptist Medical Centre in North Carolina, said the changes were a direct result of the hits received by the young players during their football season. “American football is a direct contact sport. The object is to bring people down,” he said. He said the changes could not be called “brain damage” because they do not yet know if the changes were reversible or not. Their next aim is to find out when young, developing brains are at their most vulnerable – in order to make the sport safer for everyone. Professor Tony Belli from the NIHR SRMRC said there was a lot of interest in these kind of injuries, but there was still more research to be done. “The jury is still out: there are some detectable changes after sub-concussive injuries but we don’t know what these mean.